Scrubs actor, Sam Lloyd, joins the thousands of newly diagnosed lung cancer patients. The diagnosis may be difficult, but there are exciting new options. 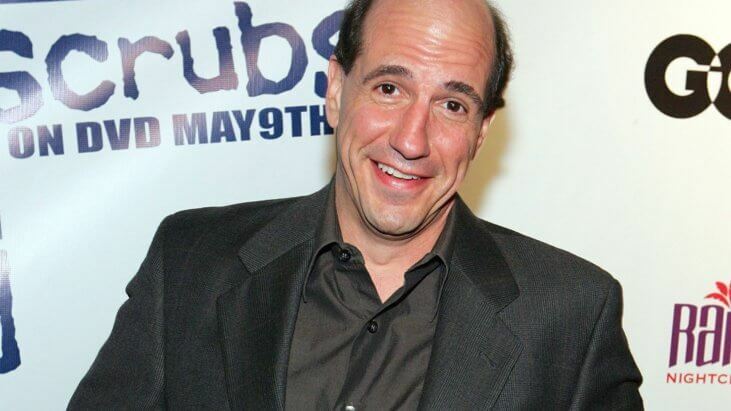 The actor Sam Lloyd who played hospital attorney, Ted Buckland on the former NBC hit show Scrubs has very advanced lung cancer. Lloyd, who is 55 and the father to a newborn son, Weston, with his wife Vanessa, was diagnosed in mid January with a brain tumor after experiencing symptoms of recurring headaches and sudden weight loss. Surgeons tried to extract the tumor, but found it was too intertwined in his brain to safely remove, according to USA Today. Soon after, Lloyd learned that the cancer had spread to his spine, liver, jaw and his brain. More than 234,000 Americans were diagnosed last year with Lung Cancer, and the prognosis is often very challenging. It’s important to point out that every lung cancer case is different and we don’t know the full details of Lloyd’s cancer. Another form of treatment for Stage 4 lung cancer patients is immunotherapy. According to Dr. Leena Gandhi, former Director of Thoracic Medical Oncology at NYU Perlmutter Cancer Center in New York City, “Immunotherapy, a relatively new type of cancer treatment, harnesses the power of the immune system to recognize and kill cancer cells. In some patients, the results can be life-changing. Unfortunately, immunotherapy doesn’t work in every lung cancer. It’s not one disease with a one-size-fits-all treatment, told SurvivorNet. A GoFundMe page for Lloyd has been set up by Tim Hobert, who was an executive producer on Scrubs, to help raise funds to cover medical expenses, along with childcare and other costs. $70,000 of its targeted goal of $100,00 had been raised.